As one turns off Market Street onto Forest Hills Road and passes the brick column announcing the neighborhood, one will be enchanted with this stately and elegant neighbor-hood! Here one enters the peace and quiet of one of Wilmington’s oldest neighborhoods. And one quite steeped with a small secret. But more on that in a bit. The earliest homes were built at the beginning of the roaring twenties. Though these homes have stood for a goodly portion of Wilmington’s history, they have been lovingly maintained as have the yards. One looking for a home with history, character and a secret or two, could not do better than this exclusive neighborhood! It is on the outer edge of historic downtown Wilmington. of these homes are still standing. And part of that history, the Delgado Mill, brings us to a mostly forgotten part of the history contained within this neighborhood, the Delgado Cemetery. Though it still exists, it is well hidden by overgrowth. For those hearty enough to venture through the overgrowth, it is located along Confederate Drive near the juncture with Colonial. which is still housing worship to this day, is the Gibson Avenue Baptist Church. in Wilmington. 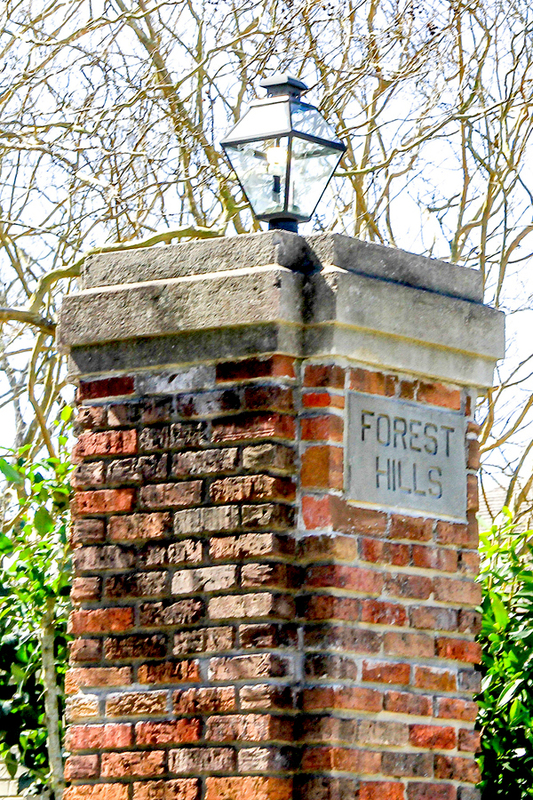 In fact, before the crew wrapped up filming, they dedicated a small park in Forest Hills. the private and exclusive Cape Fear Country Club. Here is another trivia tidbit for you: can you name the oldest private country club in the United States? Read the previous paragraph and you just named it! That’s right, this club was established back in 1896. This neighborhood so reminiscent of Wilmington’s early history and glory is, literally located between two of the area’s institutions of higher learning: UNC-Wilmington and Cape Fear Community Collge. It is just mere blocks up Market Street from such treasures as Thalian Hall, the brand new Cape Fear Arts and Humanities Center, the Children’s Musem and the Cotton Exchange. fortunate enough to call Wilmington home. If the picture you have in your heart of your dream home includes a stately neighborhood and equivalent home, this is the neighborhood for you. Contact us today and we’ll get started getting you in that home!